How cozy, I’d love to be in that room. The shades of yellow are so cool and I love that quilted sheets. The bed looks inviting. Thanks for the visit. I love all the blue and yellow together – two of my favorite colors. 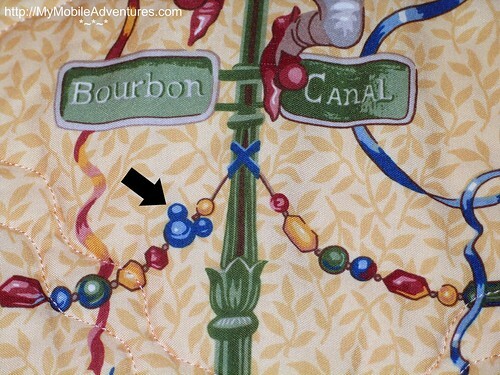 And the hidden Mickeys are so neat! I keep trying to talk my hubby into a trip to Disney World, but he’s determined to stay far away from Orlando! Great Blue Monday post. Orlando is filled with happy memories just waiting to happen. Thanks for sharing. Happy Blue Monday. Sky-who? 😉 I love doing the trifecta – it’s certainly a challenge! The thing is, you can be prepared with pictures of blue and yellow stuff till the cows come home, but the “secret sauce” is whatever Mo is going to throw at us for Manic Monday – THAT’S where the challenge comes in. Congratulations on yet another ‘trifecta’! 😀 A great blog, Tink – I enjoy checking in and seeing what is new. What a wonderful place to visit. How fun!!! Now that is far more cozy than the average hotel room. 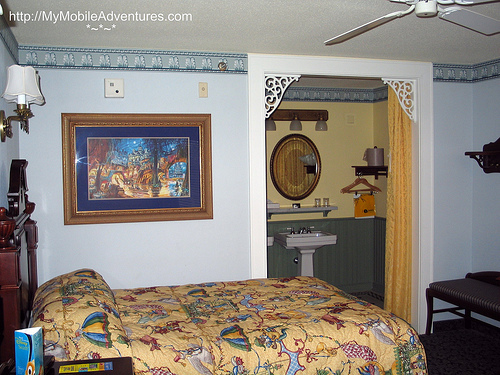 I love the idea of the hidden Mickeys in the quilt and those frilly bits in the corners of the doorway. Great post. it’s cheerful and colorful. The wrought iron in the corners is a nice touch, but in New Orleans it would be black, I think. 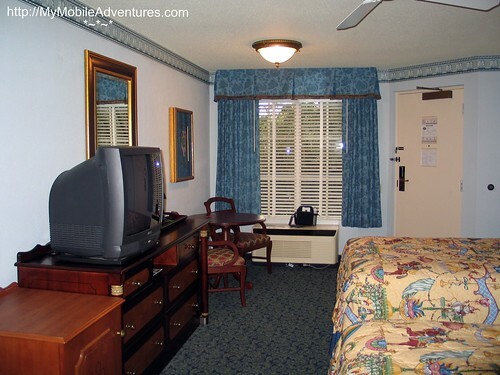 I love the room at Disney’s Port Orleans French Quarter resort. Happy Blue Monday! Nice post. I didn’t know about the hidden mickey’s. I found them on the chair. They are upside down too on there. Thanks for stopping by. Tink these are all just fabulous!! Can I have your house please? Okay I’ll settle for just those beautiful quilts!! Awesome shots and a wonderful share! Whaaa…!!! What a perfect Monday post! I love the hidden mickey too!!! So cute..